« RealJena arrives on WordPress with a bang!! 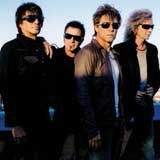 Bon Jovi’s Because We Can world tour grossed $259.5 million playing 102 shows in 97 different cities well ahead of Beyonce who took in $188.6 million in 108 shows in 77 cities. Third was P!nk with $170.6 million. Bon Jovi also far outsold all other artists in number of actual tickets sold with 2,657,502. Their closest competition was Justin Bieber with 1,868,188. The Rolling Stones led in average gross per show with $9,195,722. Paul McCartney was second with “only” $5,159,091. The Stones also led in the more dubious honor of highest ticket price at $287.89 with McCartney again second at $136.93. The top five and all other veteran artists on the list.